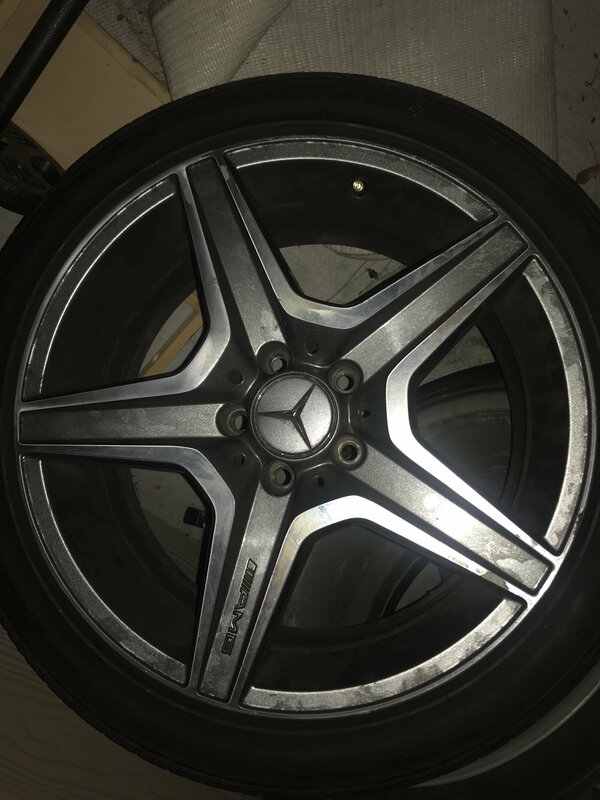 Have 2 back rims/tires and 1 front rim/tire from my '10 c63. 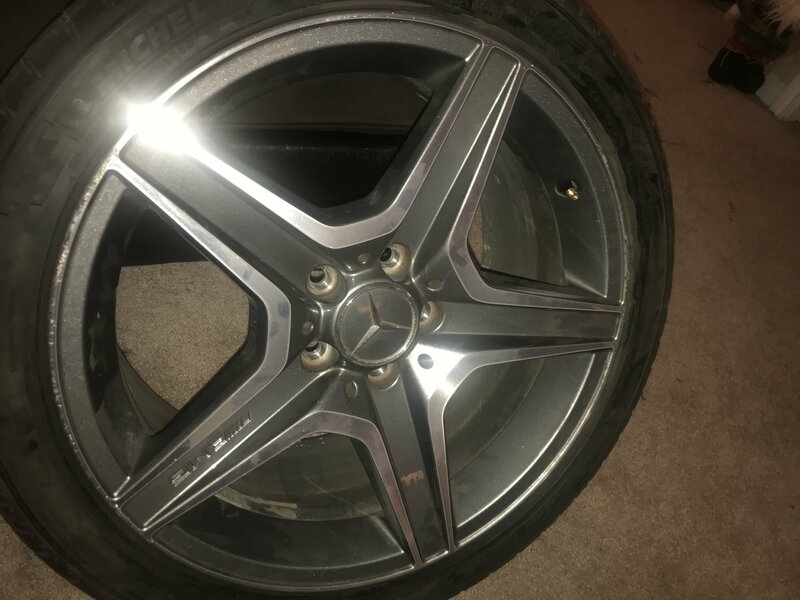 Really what your paying for is the rims. 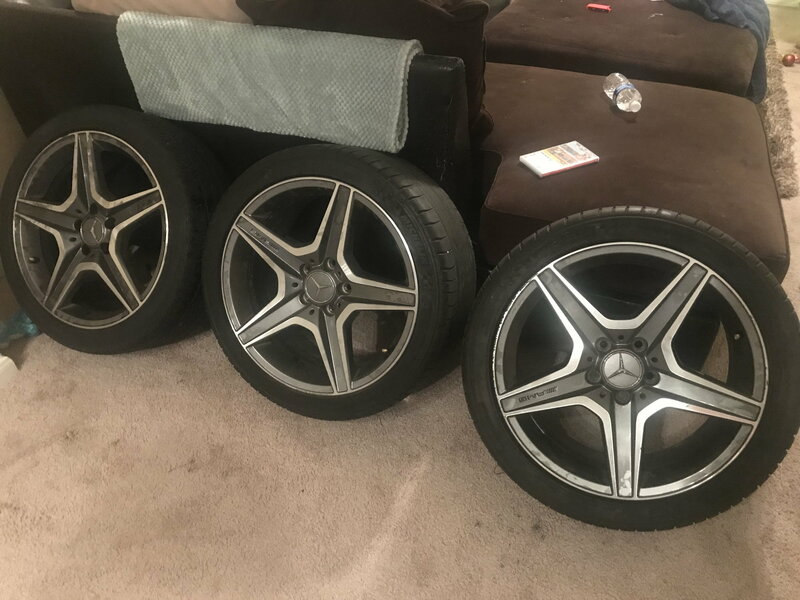 They are the stock AMG rims the front tire is 235 size and rears are 265 and they're 18's. I can sell individually if you need just one or two. All are in great condition no curb rash I any just a small scratch on each one. Can send pics. 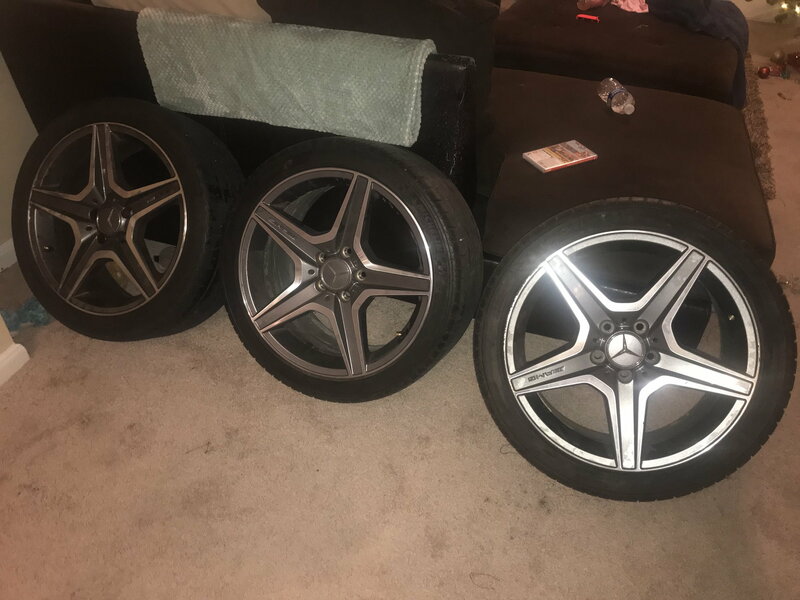 I'm looking for $300 each rim plus shipping so an extra *$75 each rim/tire. * If interested let me know thank you, 281-630-0563, my name is johnathan.